As a youth football coach, your practice and game-day planning just got a whole lot easier with Go Coach Football. Go Coach Football offers 33 video clips and 21 animations demonstrating 38 skills and 48 drills for offense, defense, and special teams that will help you organize and run your practices. The app’s optional slow-motion video setting (requires OS 3.2 and above) allows you to view every detail of the skills and drills being performed. The Favorites feature allows you to save skills, drills, and video clips in one central folder-a great tool for planning and organizing activities for your next practice. Supplemental coaching tips and advice, safety guidelines and checklists, and guidance on season and practice plans will help you manage team activities beyond the Xs and Os. Developed by American Sport Education Program (ASEP) and drawing content from ASEP’s Coaching Youth Football book, Go Coach Football is the authoritative app for any on-the-go coach. The app’s Skills feature provides you with instant access to step-by-step instructions for executing a total of 38 offensive, defensive, and special teams skills, including tackling, blocking, running, passing, catching, and kicking. Video clips and photos demonstrate proper player positioning and skill execution. The app’s Drills feature offers instructions for implementing 48 practice drills for offense, defense, and special teams. Explanations of the various drills are supplemented by video clips, animations, and photos that visually demonstrate player positioning and movement. The Advice feature addresses the off-field tasks coaches perform to make practices and games run smoothly. Coaches receive guidance on developing season and practice plans for ages 8 to 14. Game-Day Advice provides a checklist of the things that you and your players need to do in preparation for the game, as well as guidelines on running the team during the game and addressing the team after the game. Planning and preparation are keys to success, and Go Coach Football makes the tasks simple. The Rules feature provides basic information on field markings, player positions, and football variations. Also included are photos depicting officiating signals. As a youth coach, you will likely be the first responder in the event of an injury or illness. Go Coach Football offers guidelines on developing an emergency action plan; treating sprains and strains using the PRICE method; and preventing, recognizing, and treating heat-related illnesses such as heatstroke. As a youth basketball coach, your practice and game-day planning just got a whole lot easier with Go Coach Basketball. Go Coach Basketball features 38 video clips, 9 animations, and step-by-step instruction for 27 skills and 36 drills covering every aspect of the game. The app’s optional slow-motion video setting (requires OS 3.2 and newer) allows you to view every detail of the skills and drills being performed. The Favorites feature allows you to save skills, drills, and video clips in one central folder—a great tool for planning and organizing activities for your next practice. Supplemental coaching tips and advice, safety guidelines and checklists, and guidance on season and practice plans will help you manage team activities beyond the Xs and Os. Developed by American Sport Education Program (ASEP) and drawing content from ASEP’s Coaching Youth Basketball book, Go Coach Basketball is the authoritative app for any on-the-go coach. Go Coach Basketball’s Favorites feature allows you to catalog your favorite skills, drills, video clips, or other features in the app into one central easy-to-access folder—a great tool for planning activities for your next practice. The Skills feature provides you with instant access to step-by-step instructions for executing a total of 27 offensive and defensive skills, including dribbling, passing, shooting, and defense. Video clips and photos demonstrate proper player positioning and skill execution. The Drills feature offers instructions for implementing 36 practice drills for offense and defense. Explanations of the various drills are supplemented by video clips, animations, and photos that visually demonstrate player positioning and movement. The Advice feature addresses the off-court tasks coaches perform to make practices and games run smoothly. You’ll receive guidance on developing season and practice plans for ages 6 to 14. Game-Day Advice provides a checklist of the things that you and your players need to do in preparation for the game as well as guidelines on running the team during the game and addressing the team after the game. Planning and preparation are keys to success, and Go Coach Basketball makes the tasks simple. The Rules feature provides basic information on court markings, player positions, and basketball variations. Also included are photos depicting officiating signals. As a youth coach, you will likely be the first responder in the event of an injury or illness. Go Coach Basketball offers guidelines on developing an emergency action plan; treating sprains and strains using the PRICE method; and preventing, recognizing, and treating heat-related illnesses such as heatstroke. Go Coach Basketball also offers tips for fostering good sportsmanship and creating a fun atmosphere for you and your players. 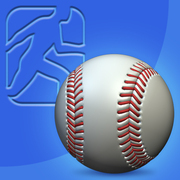 In the app’s Coaching Young Athletes section, Teaching Skills introduces the IDEA method of coaching: the four steps necessary for teaching correct technique. A commentary on discipline will help you identify what’s deserving of disciplinary action and how to administer it. You’ll also find seven tips for building teamwork and accountability. Tom Bass’ knowledge of the game of football comes from 30 years of coaching experience at the college and NFL levels. Now he brings that expertise to an iPhone-, iPad-, and iPod Touch-compatible app featuring over 40 drills designed for immediate use by everyone from middle school to advanced-level players and coaches. As the only app available addressing players’ skill development, Football Skills & Drills includes more than 20 videos demonstrating proper technique and drill execution. Along with 30 skill instructions, it’s loaded with 35 full-color photos and the ability to tag favorite drills for quick access at a later time. Football Skills & Drills covers both offense and defense as well as every player position and area of the game: tackling, passing, catching, and blocking. Increase strength, build mass, burn fat, and define your muscles. 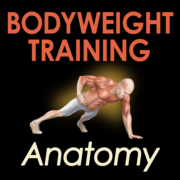 Featuring 19 exercises, 5 anatomical exercise animations, and 15 interactive muscle identifiers, Bodyweight Training Anatomy is the authoritative resource for sculpting your physique without free weights, machines, or expensive equipment. Targeting the arms, shoulders and neck, chest and back, core, glutes, and legs, the exercises in this iOS-compatible app can be performed anytime, anywhere. With expert advice from renowned strength trainer Bret Contreras, Bodyweight Training Anatomy also features 26 of the full-color anatomical illustrations found in his popular book, Bodyweight Strength Training Anatomy. Bonus exercises for the chest and back, core, and legs are available via in-app purchase, featuring 30 additional interactive muscle identifiers and 32 additional illustrations. In depth and practical, Bodyweight Training Anatomy takes you inside every exercise through stunning anatomical artwork that reveals primary muscles worked along with the relevant surrounding structures, including bones, ligaments, and tendons. A Favorites feature allows you to easily access the workouts you like best. This version of Go Coach Football-Kindle Fire Edition has been designed for Amazon's Kindle Fire tablet and the Kindle Fire HD. As a youth football coach, your practice and game-day planning just got a whole lot easier with Go Coach Football. Go Coach Football offers 33 video clips and 21 animations demonstrating 38 skills and 48 drills for offense, defense, and special teams that will help you organize and run your practices. The app’s slow-motion video allows you to view every detail of the skills and drills being performed. The Favorites feature allows you to save skills, drills, and video clips in one central folder-a great tool for planning and organizing activities for your next practice. Supplemental coaching tips and advice, safety guidelines and checklists, and guidance on season and practice plans will help you manage team activities beyond the Xs and Os. 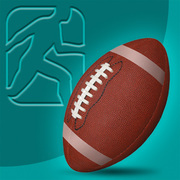 Developed by American Sport Education Program (ASEP) and drawing content from ASEP’s Coaching Youth Football book, Go Coach Football is the authoritative app for any on-the-go coach. This version of Go Coach Basketball-Kindle Fire Edition has been designed for Amazon's Kindle Fire tablet and the Kindle Fire HD. As a youth basketball coach, your practice and game-day planning just got a whole lot easier with Go Coach Basketball. Go Coach Basketball features 38 video clips, 9 animations, and step-by-step instruction for 27 skills and 36 drills covering every aspect of the game. The app’s slow-motion video allows you to view every detail of the skills and drills being performed. The Favorites feature allows you to save skills, drills, and video clips in one central folder—a great tool for planning and organizing activities for your next practice. Supplemental coaching tips and advice, safety guidelines and checklists, and guidance on season and practice plans will help you manage team activities beyond the Xs and Os. 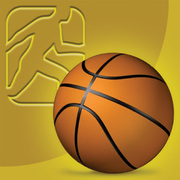 Developed by American Sport Education Program (ASEP) and drawing content from ASEP’s Coaching Youth Basketball book, Go Coach Basketball is the authoritative app for any on-the-go coach. Chiseled abs, a defined midsection, and a powerful core require more than sit-ups, crunches, and the latest miracle diet. To achieve true six-pack success, you’re going to need the help of Jonathan Ross, the 2010 IDEA Personal Trainer of the Year. In Abs Revealed: The Exercise i-Library-Kindle Fire, Ross includes over 60 exercises categorized from easy to advanced and divided by equipment type such as TRX, stability balls, and floor exercises that will help you create the perfect core. Photo sequences depicting how to perform each exercise are paired with a text description. Also featured are video clips demonstrating 30 of the exercises within the app itself that don’t require Internet access. Ross includes additional guidance by providing exercise tips, training advice, and a 10-week program for developing a chiseled core. If you’re looking for a quick and easy way to get rock-hard abs, Abs Revealed: The Exercise i-Library-Kindle Fire is your step-by-step guide to six-pack success. This version of Abs Revealed: The Exercise i-Library has been designed for full compatibility with Amazon's Kindle Fire tablet and Kindle HD tablets.